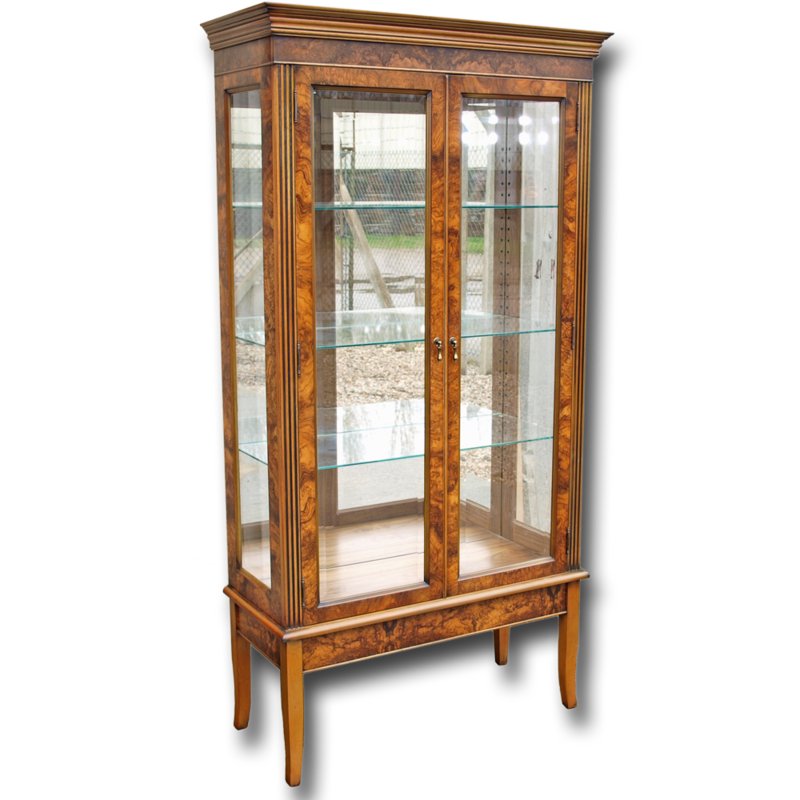 Superbly crafted Windsor display cabinet/bookcase. Supplied as shown with mirror back, glass shelves and glass sides. Bevelled glass is standard but you can choose one of our cut glass designs for +£80. 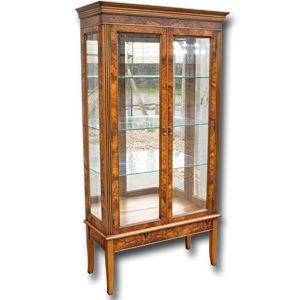 Available in yew, mahogany, oak and burr walnut. If you would like a bespoke size or change the layout, please ask!